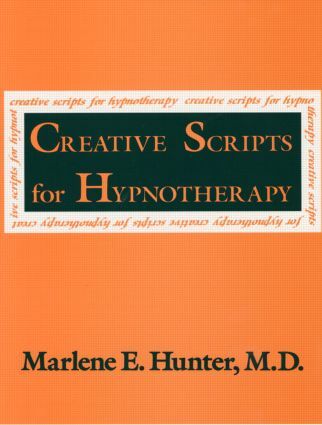 First published in 1994, this book provides a selection of time-tested hypnotherapy scripts which aim to ease a variety of problems such as in the workplace, concerning pain relief, psychometric disorders, fears and phobias, self-discovery, memory retrieval, habit disorders, ego strengthening and sexual difficulties. The volume also intends to assist with such problems of childhood as enuresis, learning disabilities, fears, night terrors and asthma while also suggesting a variety of induction and self-hypnosis techniques. Hunter offers an insightful commentary alongside each script which exhibits state-of-the-art research as well as an expanded reference section and annotated bibliography. Its spacious format enables therapists to take notes as required and alter the script to meet the varying personal needs of their patients. Case histories and in-depth information as to how and when to use a particular script is also included.